Here are a few websites and groups that provide educational opportunities and exercises for educators. 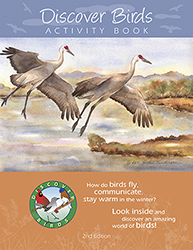 The Discover Birds Activity book has now been translated into Spanish! There are a limited number of those available in hard copy but PDFs will be available in Spanish in the coming months here on this site and at www.tnbirds.org. Environmental Education in Tennessee, also referred to as EEinTennessee.org, is a comprehensive resource for locating outdoor programs, groups, workshops, and classroom activities/ideas in Tennessee. Flying WILD is a program that promotes learning about birds by bringing students, teachers, and communities together to celebrate Migratory Bird Day. 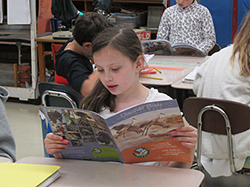 Project WILD is a wildlife-focused conservation education program for K-12 educators and their students. Cornell Lab of Ornithology has a page with exercises to Celebrate Urban Birds. Free stuff! !